Guts2Glory shared GU Energy South Africa's photo. Getting amped to train again in spring? Maybe you need some last minute GU's before Otter African Trail Run? 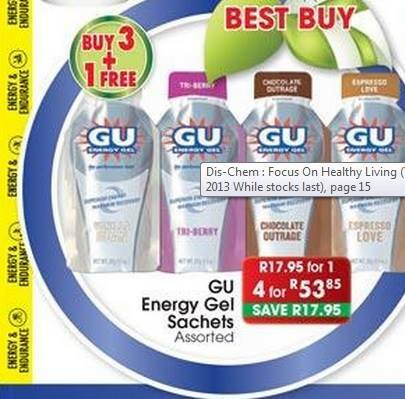 Then have a look at the Dis-Chem | Pharmacists who care GU Energy Gel special!